Hunters are fearless, smart, and skilled. If you know a hunter, then you know how seriously they take this activity and how much it means to them. As such, it’s no surprise that you want to buy them a meaningful present that can be applied to this passion of theirs. Hunting is far from the most common form of sport around the world today, so it makes sense that you may not be entirely certain about the best type of present to get for the hunter in your life. That’s why we have put together this guide to help you. Here are our picks for the top 15 gift ideas for hunters, and what features to look out for when making your decision. Whether your giftee hunts in the forest or elsewhere, no one can deny that the wild can be an unforgiving place. As such, opting for gifts that have water-resistant, scratch-resistant, and fall-resistant properties can be incredibly useful. This will ensure that the item doesn’t get damaged and become useless on its first hunt! If someone is going hunting, they won’t be packing heavy. Whatever you purchase for them should be able to easily fit into their usual bag without taking up too much space. Convenience is always going to be more important to serious hunters than how cool something’s design is – go for compact! When someone goes out into the wild to hunt, they’ll need gear that is safe to use. On top of that, any item that helps protect a hunter and add to their overall safety. When you pick a gift that provides added safety features, you are sending the lovely message to the recipient that you care about them. This is fairly simple – no one wants something that will break quickly. Opt for an item with enough quality to ensure long-lasting usage. It shows that you put effort into choosing something truly usable and reliable for the recipient. Most hunters need to be as quiet as possible when going out to catch game. As such, if the items you give them are designed to help during the hunt, they shouldn’t be too noisy to use. Something that has a very loud activation noise or clicks loudly when opened might not be the best option. You don’t have to cancel out these gifts altogether, but try to opt for more inconspicuous things! What time of hunting does your giftee do? What sort of game to they usually have their eye on? Getting them specific items that are highly relevant to them will really show your giftee that you put thought into the present. 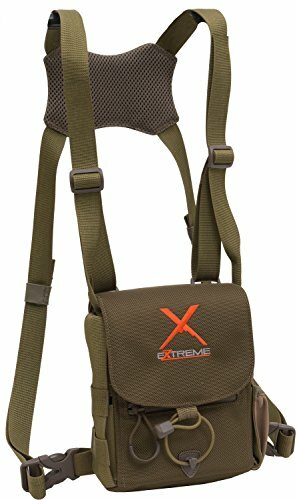 This harness is made to be extremely durable thanks to its 1680D ballistic nylon fabric construction. It comes in two different sizes to best fit your giftee and includes an easy lens cloth for wiping as well as a simple design that allows for one-handed operation. A hunter needs good, sharp tools. With the Work Sharp WSKTS-W Knife & Tool Sharpener, your giftee will never need to deal with dull knives. It can easily sharpen any sort of blade, from steel to ceramic and from straight to re-curved. It also works on items such as shovels and any tools that have sharp edges. 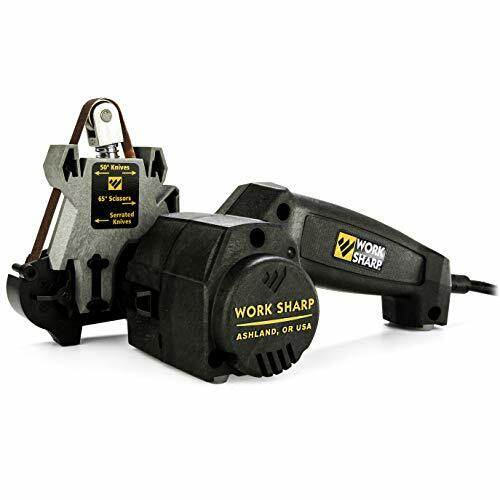 This tool sharpener uses high-quality abrasive belts in different roughness levels to best suit a user’s needs. It is made by a reputable American company with more than 40 years’ experience in the field. If your giftee tends to hunt at night, they’ll know how unmatched their human eyes are against sharp animal vision that often adapts to dark environments with ease. 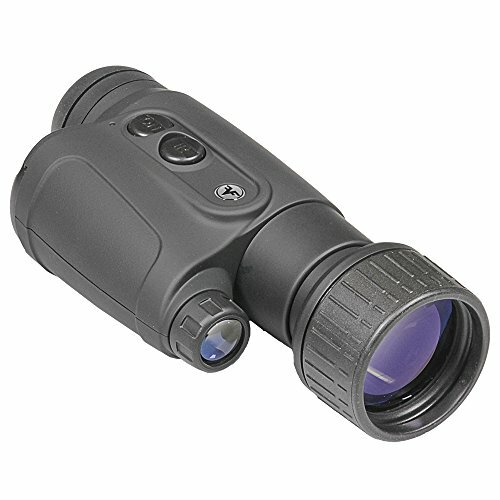 The Firefield 5×50 Nightfall 2 Night Vision Monocular provides an easy solution to this issue. This night vision device makes use of extremely powerful infrared illumination and provides an excellent, high-quality, and clear image with great resolution. It is designed to be ergonomic so it easily fits into a user’s hand, and it has a big objective lens coupled with great magnification features. 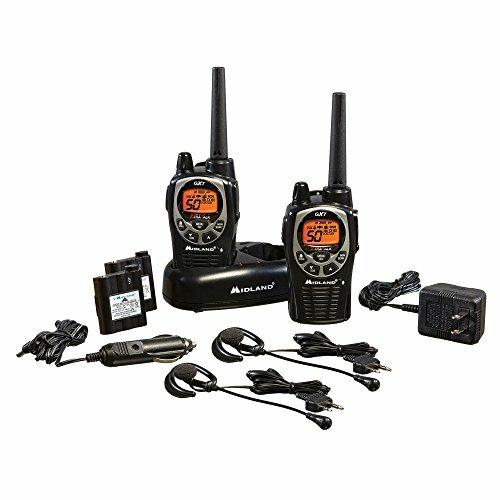 For a hunter who hunts with a friend or in a group, this Midland GXT1000VP4 50 Channel GMRS Two-Way Radio is a game changer. It has 50 General Mobile Radio Service channels and a whopping 142 privacy codes that provide 3,124 channel options to choose from. This two-way radio is splash-resistant and can withstand water splashing damage easily. It is also equipped with the NOAA Weather Scan feature that allows users to lock onto strong, local weather channels so they can stay up to date on what to expect. With a 36-mile average range that gets longer in clear areas, this two-way radio is a fantastic addition to any hunter’s arsenal. Gun safety is no joke. There’s a good chance the hunter in your life has a family they want to keep safe, and the BARSKA Quick Access Biometric Rifle Safe is a surefire way to ensure only the intended user can access these dangerous weapons. 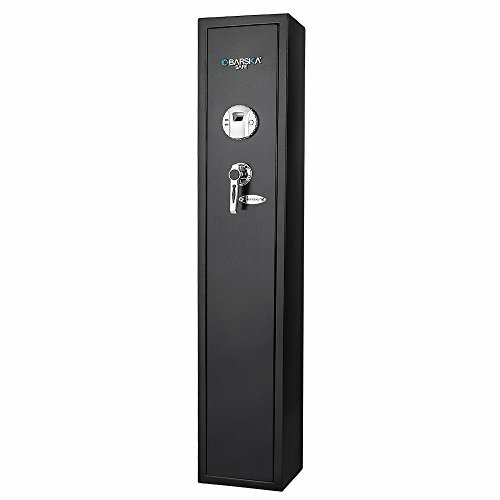 Equipped with advanced biometric technology that can store up to 120 fingerprints, this rifle safe is built from extremely strong steel that is resistant to prying. It opens quickly after a mere 2.5-second scan and also has a hidden keyhole in case it has to be opened manually. It can be difficult for hunters, and other adventurers, to find gloves that fit them just right and provide exactly what they need. They can’t be too hot, too bulky, or too difficult to wear and take off. 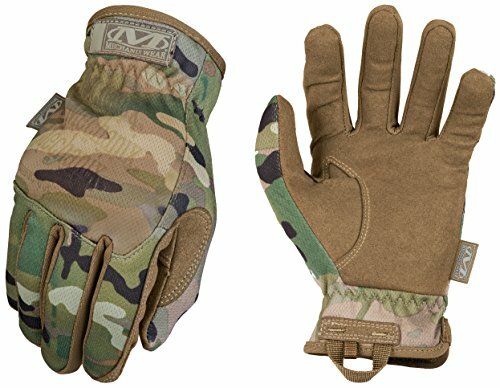 The Mechanix Wear MultiCam FastFit Tactical Gloves meets all these needs, and more. These tactical gloves use a TrekDry material that allows for cool comfort when worn, and each glove is designed to human anatomy in order to prevent any bunching in the fabric. Thanks to an elastic cuff, these gloves also easily slip on and off of a user’s hands as desired. They come in five sizes and are machine washable. The Complete Guide to Hunting, Butchering, and Cooking Wild Game is an incredibly comprehensive set of books written by an author who has spent his entire life hunting wild game. 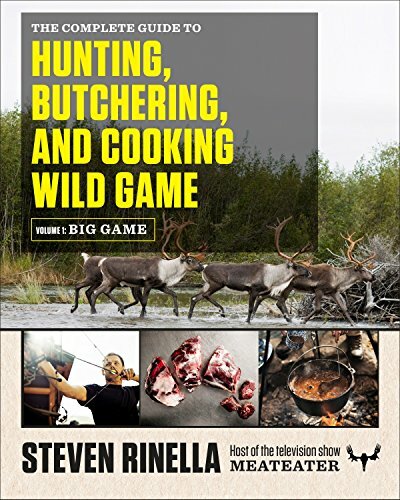 It features recommendations for equipment, hunting strategies, finding good locations, how to deal with and transport different animals, and how to butcher and even cook them. Additionally, with 400 photographs in full-color taken by skilled outdoor photographers, these books are as gorgeous to look at as they are informational and essential. If the hunter in your life uses various devices – especially their mobile phones – when out and about, the RAVPower 16750mAh Outdoor Portable Solar Charger is an indispensable tool. This portable battery pack allows for uninterrupted, unlimited charging wherever the sun shines. It recharges very quickly and can be linked up with any device through the appropriate USB cord. This portable solar charger is dustproof, waterproof, and even shockproof in order to ensure safe and durable use in the wild. It also has an LED flashlight for added functionality. With its 16750mAh capacity, it is capable of charging devices many times in a row. Animals have a very powerful sense of smell. They’ll typically catch a whiff of a hunter long before they’re at an easy shooting distance. 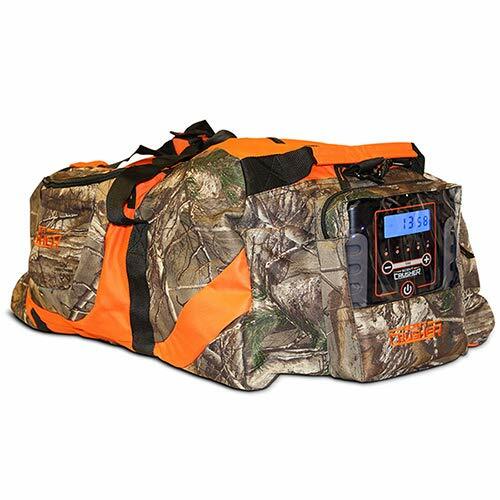 That’s where the easy-to-use Scent Crusher Realtree Camo Gear Bag with Ozone Generator comes in. This scent removing gear bag allows clothes and other items to easily be stashed within. Simply zip up and start it up, and the items inside will be scent-free within half an hour! It’s fairly durable and even comes with a vehicle adapter for those on the go. 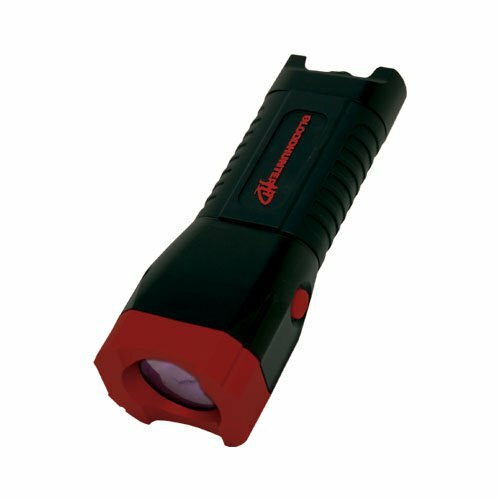 The Primos Bloodhunter HD Shadow Free Blood Tracking Light allows users to very easily see and follow blood trails, regardless of the type of terrain they are on. It makes use of 600 Lumen CREE XM LEDs to provide highly bright and reliable illumination. This blood tracking light offers two different settings for power: one for low, discrete illumination, and one for intense, high definition imaging work. A custom optical filter is also present that helps to make blood more visible by reducing other colors. With an ergonomic, compact design, it is easy to carry and fit into any pack, too! Hunters who hunt big game are likely going to need to take apart their captured hunt before being able to transport it home. Even if they don’t they’re going to eventually need to butcher and clean their game. 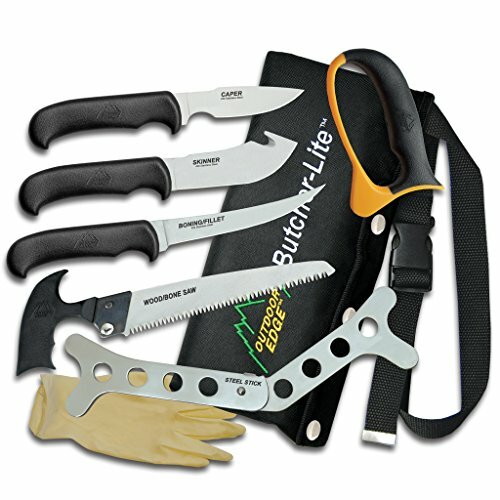 The Outdoor Edge Butcher-Lite Kit is perfect for this. This butcher’s kit includes a gut hook skinner, caping knife, wood and bone saw, and boning and fillet knife. On top of that, it includes a variety of other materials, such as gloves, sharpeners, spreaders, and scabbards that make the whole process easier. Packaged in a compact nylon pack, this butcher’s kit comes with a limited lifetime warranty for your giftee. The Adventure Medical Kits Sportsman Series Bighorn First Aid Kit is the perfect way to tell your giftee that you care deeply for their safety. It’s designed to contain all the essentials and more needed by hunters and other wild adventurers. 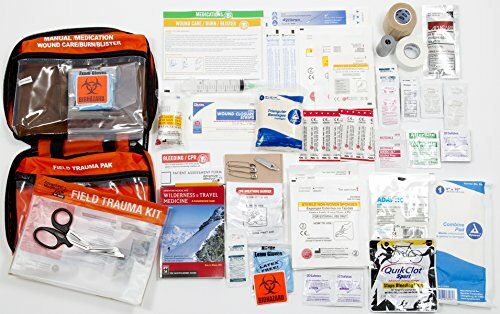 This first aid kit comes with a waterproof trauma kit and all the supplies needed to treat common injuries. It has tools for blisters and burns, sprains and fractures, and even CPR. It’s a bright orange color that is very easy to spot and reach for as needed and also comes with a simple field manual. 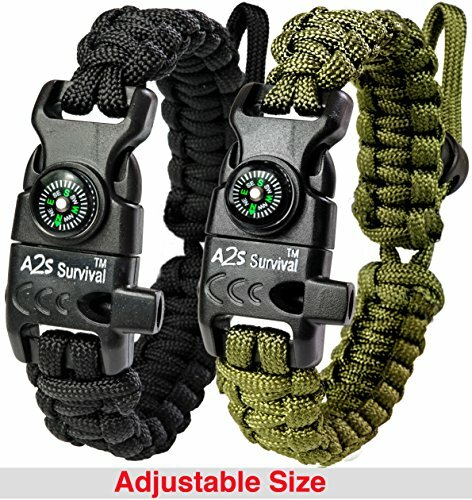 The A2S Protection Paracord Bracelet is as comprehensive of a survival tool as you can get on a simple bracelet. Made from paracord, this bracelet provides 5-in-1 functionality, including a fire starter, emergency knife, whistle, and compass. It is safe, secure, and highly versatile. This paracord bracelet is made from military grade 550 parachute cord that measures a total of 12 feet and can hold up to 550 lbs. Its adjustable size makes it a safe purchase for any giftee, and it can be found in lots of different colors. 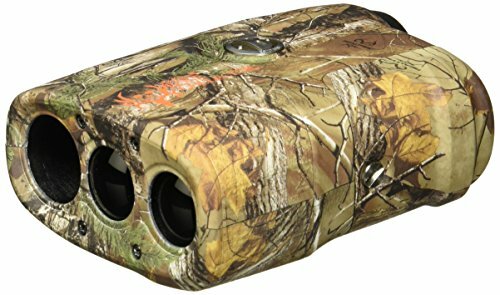 Rangefinders are arguably one of the most necessary game hunting tools out there, and the Bushnell 202208 Bone Collector Edition 4x Laser Rangefinder is an excellent device of this variety. It can be used for providing exact distances between 10 and 600 yards with an impressive +- 1-yard accuracy. This rangefinder works with one simple button, making it user-friendly and highly intuitive. It is resistant to all sorts of weather and comes with a sturdy case for easy carrying. Those who tend to go on long camping trips will eat while they’re on the trail. 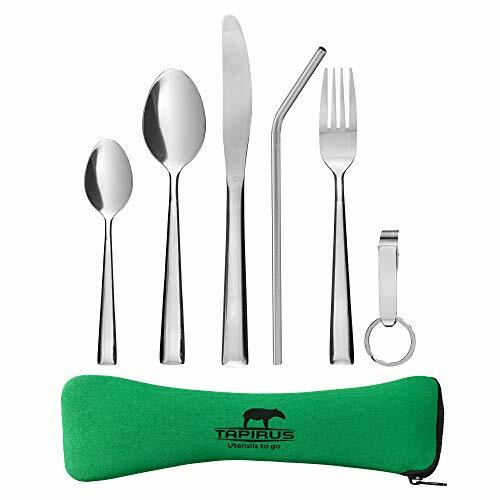 The Tapirus Camping Eating Utensils To Go is a great set that includes a spoon, fork, knife, teaspoon, bottle opener, and straw, all in a handy and compact carrying case. These utensils are rust-proof and incredibly high quality, making them sure to last for years as your giftee easily and safely uses them on all their expeditions. They’re very lightweight and very low in price, so they’re a great way to deliver an excellent product to someone in your life while you’re on a tight budget! We hope these great gifts ideas will help you find that perfect something for the outdoorsman or woman in your life!